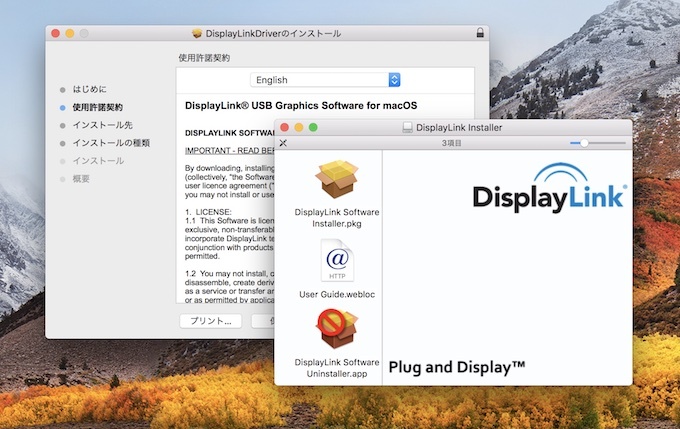 DisplayLink、macOS Sierra High Sierraを試験的にサポートした「DisplayLink USB Graphics Software for macOS 4.0 Beta」を公開。 | AAPL Ch. This is DisplayLink macOS Software v4.0.0 Beta. This release is a public beta of a macOS 10.13 High Sierra compatible software. It is meant to enable testing on all the supported macOS versions. This version does not support OS X version 10.10.x and earlier.